The Hummer limousine has become extremely popular over the years. With its exquisite all-American looks, this imposing limo is great for those seeking something a little different. They come with all of the luxury features you’d expect in a limo, yet they offer a much more laid back, modern appeal. 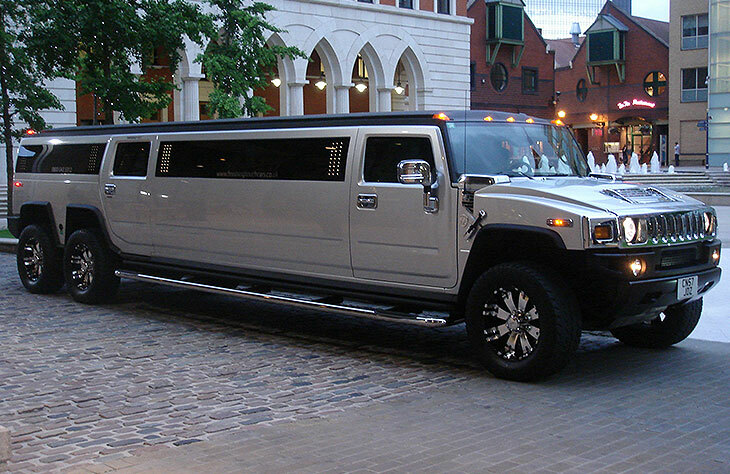 At Limo Hire Telford, we have an impressive selection of Hummers. Whether you’re looking to hit the town to celebrate a special birthday, or you’re searching for the perfect prom transportation, there’s a Hummer to fit your needs. Our Pink Hummer is especially popular with the ladies. Great for hen parties, this exquisite limousine was custom built for us in none other than California. It comes with a unique one-piece window, complete with concealed colour-changing lighting. It doesn’t just boast a pink exterior either – the interior is fully kitted out in a beautiful pink colour too. There’s a disco floor, a mirrored ceiling, an illuminated bunny and 7 LCD TV’s. Looking for something a little less pink? The H2 Hummer is sure to be a winner. Larger than the H3, this impressive vehicle comes in white and like the pink edition, it also benefits from some pretty cool features. It’s commonly referred to as a club on wheels, making it a great choice for those heading to a party! Finally, we have the superb H2 Double Axle Hummer. The largest in our collection, this custom-built limousine has a stylish silver colour and is sure to get you noticed. It’s known to be the most extravagant limousine in the country and features a great stretched design. This makes it an ideal choice for large booking parties and its chrome design gives it a really trendy appearance. 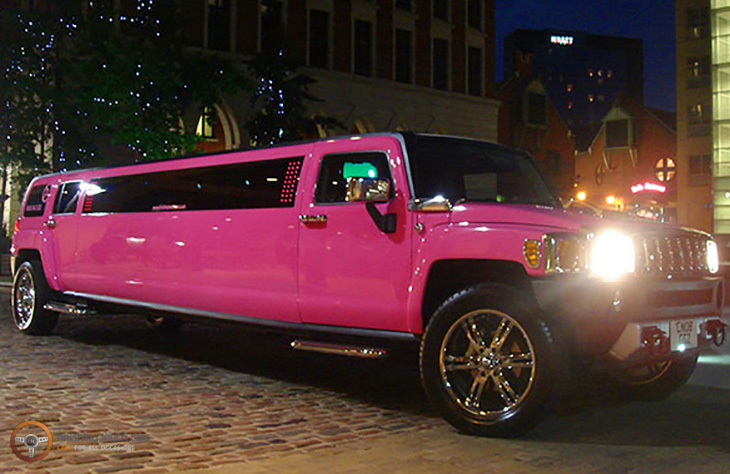 So, whatever the occasion, we have a Hummer limousine to perfectly match it. All of our Hummer limousines have been custom-built. This means you won’t find the exact same layout in any other Hummer in the UK. We’ve ensured they come with all of the latest features and we’ve paid particular attention to the comfort of the limos too. Each is fitted with a unique, sumptuous leather interior. So, you’ll sink right into their comfortable seats, perfect for when you’ve spent a long night dancing and partying. Another benefit of booking through us is our hire prices. We may be one of the leading hire companies in the country, but our prices are surprisingly affordable. As well as generally competitive prices, we also regularly provide deals to save our customers more. We also offer great off-peak prices and provide discounts for multiple vehicle hire. You can call us to learn more about our existing package deals. Interested in our Hummer hire service? Contact us today to find out more. Or, why not pop into our headquarters to view our exclusive limos before you book? There is no obligation to book and you’ll get to see exactly how luxurious these vehicles are. A Big Hummer Limousine is a very recognisable motor vehicle that brings attention of everyone regardless of the age. If you wish to attend a Prom night, a wedding and reception limo hire, Birthday, or simply just having a evening out around town and you need to do it in style then shop no further. This particular spectacular Hummer limo you can get there and back while emphasizing your personality as a person who is deserving of the FTC service. Which has a fully on the house and also a amazing entertainment system that includes multiple lcd Television screens and DVD player, you are sure to get the special event started long before you reach your location!